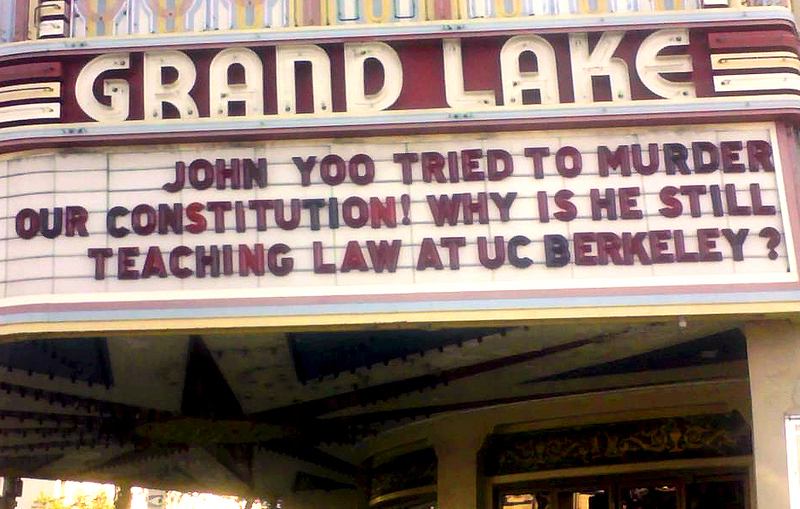 Don't Forget All the Torturers and Liars Who Have Paid No Price For Their Crimes - FIRE JOHN YOO! "Given what we know about accountability for powerful people in America, though, it's a good bet that she'll have little trouble finding a job once she's ready... such as Torture Memos writer and current UC Berkeley law professor John Yoo. Or Henry Kissinger. Or on and on and on." 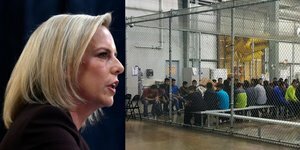 "Because if elite institutions and corporate America simply welcomes her back," adds MSNBC's Chris Hayes (Video), "then, in the same way I'm not sure we won't torture again, I'm not so sure we won't rip children from their mother's arms again." Listed below are links to blogs that reference this entry: Don't Forget All the Torturers and Liars Who Have Paid No Price For Their Crimes. This page contains a single entry published on April 10, 2019 12:44 PM. John Yoo Thinks Trump's Emergency Declaration Would Be Legal was the previous entry in this blog.